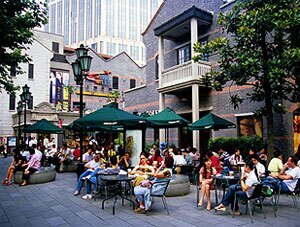 Xintiandi is situated in the middle of Shanghai Town, south of Huaihai Zhong Lu. 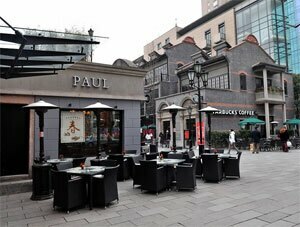 Shanghai Xintiandi is a stylish pedestrian road made of Shikumen houses and up-to-date building styles. It has developed an urban traveller attraction that combines the past with the culture of today. The Shanghai Xintiandi is very unique due to its ideal building construction. It holds the traditional walls, tiles plus the outer of Shikumen housing of ancient Shanghai. Instead of this, its interior embodies a completely different world of international galleries, bars, cafes, boutiques and themed cafes. When you visit Xin Tian Di, you will experience the flavour both of Shanghai in the 1920&apos;s and the auditory current lifestyle of citizens of 21st century. 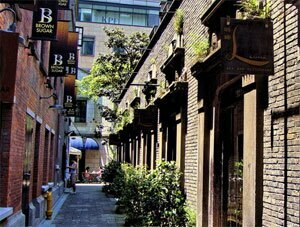 Xintiandi also stands out as an entertainment complex housed in reconstructed, modified houses of Shanghai. A`shikumen house (石窟门建筑 shikumen jianzhu /shrr-koo-mnn jyen-joo/ &apos;rock cave doorway building&apos;) is a typical residential building representative of Shanghai&apos;s traditional buildings. You can see these buildings in most Shanghai longtangs (old alleys). They were first built around the 1870s, at the time of the Revolutionary War of the Taiping Heavenly Kingdom. Many rich people fled to the French Concession Area of Shanghai. Foreign land agents built houses for these rich people with elegant designs and many rooms. This kind of buildings was designed based on the style of Jiangnan (&apos;(Yangtze) River South&apos;) local residential houses, with the solid-wood door framed in stone, hence shikumen. From the 1910s shikumen building design combined Western style with the Jiangnan style, making the house design simpler. After the 1930s, new longtangs and gardens became popular, and shikumen houses became buildings for lower level people. However, at the end of 20th century, the Shanghai government decided to build Xintiandi based on shikumen houses, which pushed this architecture again into the forefront of fashion. Xin Tian Di is divided into two parts: the South Block and the North Block. The South Block mainly consists of modern architecture with Shikumen architecture as an accompaniment. 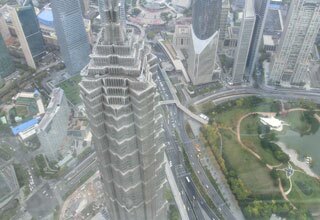 It covers an area of 25,000 square meters and was opened to public in mid-2002. The complex of block is built with glass walls; it delivers modern atmosphere and style. Inside the block, there are a lot of restaurants from all over the world, boutiques, fashionable ornament shops, food courts, cinemas and one-stop fitness centers providing places of leisure and entertainment for customers and tourists from home and abroad. The North Block is composed of antique Shikumen buildings with inner modern designs, decoration and equipment. It features upscale stores and restaurants with cuisine from different countries such as France, Brazil, America, Japan, Germany and Italy, fully revealing the international level of Shanghai Xin Tian Di. The designers took a part of these Shikumen households and improved them, creating two ordinary blocks. These buildings are filled with cafes, hotels, shops, bars and inns. However on the southern side is a large new building that is full of well-known brand-named shops, good cafes (Din Tai Fung and Crystal Jade have openings on the next floor) and a movie cinema on the 3rd floor that shows movies in English language. There are also very stylish wine bars; you’ll find whatever you’re thirsty for. When the climate is fine, you’ll find what appears like everybody in Shanghai is sitting outside and eating. There are good cafes for example Paul (the French bakery and patisserie), KABB (Best American-style burgers plus censorships) and also Chinese coffee bars like Din Tai (make a reservation). Chic venues comprise Va Bene (Italian), plus T8 (fusion). Xintiandi has few good shops. You’ll find bargains in Shanghai Tang’s northern block. Also don’t forget Shanghai Trio (Taicang Street) for locally made bags, scarves and fittings. 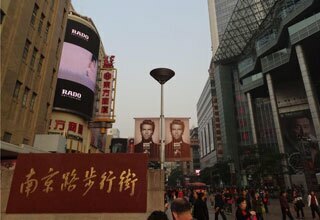 Want to visit Xintiandi and other landmarks in Shanghai? 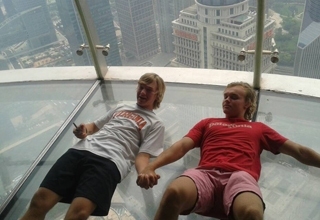 Check out our 2-day landmark tour.